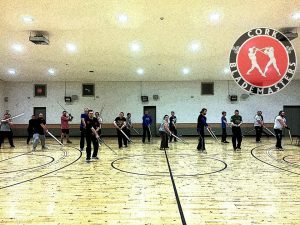 Join us at our Open Day and try out free longsword fencing session with Cork Blademasters! See the facebook Event Page for full details and announcements! This is a HEMA (Historical European Martial Arts) discipline of unarmoured combat based on teachings of german fencing master from XV century Johannes Liechtenauer. Entry is free and all equipment will be provided, please bring some light gloves, towel and plenty of water! This is one of many similar events offered by different HEMA clubs nationwide between 15th and 30th of September organized under HEMA Ireland banner in order to promote HEMA across the island. Check our HEMA Ireland page for more details on the events from participating clubs!